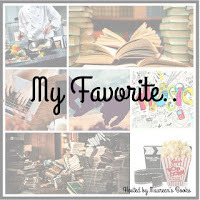 Each week Maureen from Maureen's Books Books asks participants to share a favorite on the weekly designated topic. This week's topic is my favorite bookmark. I love bookmarks and have quite a few. I try to rotate through them when I remember, or try to match a book with a particular bookmark if I sense a certain combined theme. I've also been known to use scraps of paper or torn off tissue (from clean ones, of course). Whatever is most handy at the time. Although, I read so many e-books these days my actual bookmarks don't get as much use as they used to. This one is a long time favorite, which I have put to good use over the years. I received from my husband before we were married. He even wrote me a little note on the back. Another extra special one to me is the one my daughter made for me a couple years ago for Mother's Day (which I haven't used, I admit). Oh, and I just love this one! I'm not usually one for bling, but isn't it adorable? 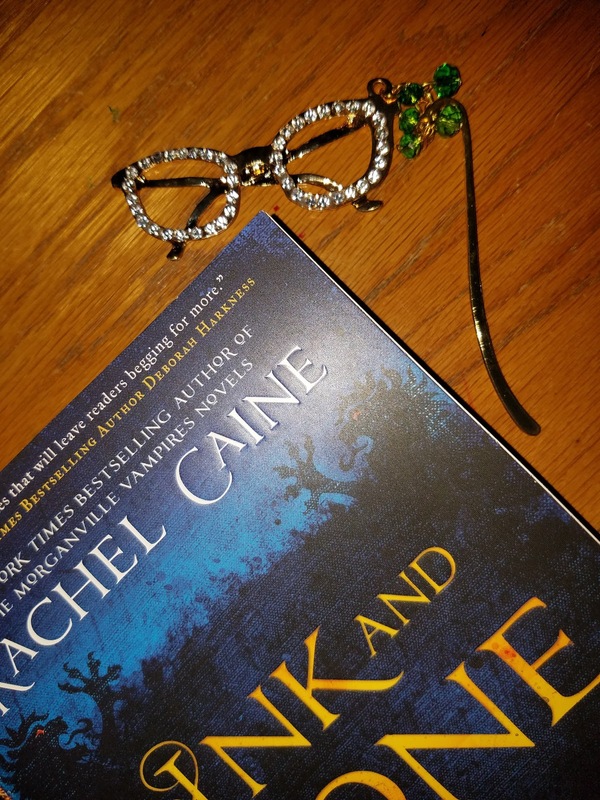 Do you have a favorite bookmark? 10. 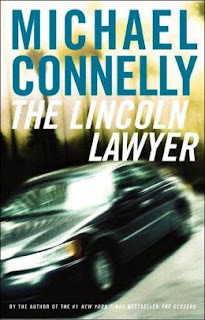 Lincoln Lawyer by Michael Connelly ~ This was a funny suspenseful thriller that had me up reading into the wee hours of the morning. I thoroughly enjoyed it and found the main character to be an interesting one. 9. 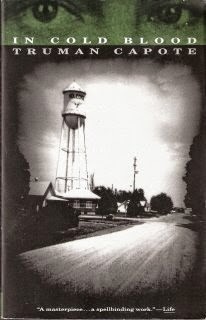 In Cold Blood by Truman Capote ~ This true crime novel, frequently toted as the first of its kind, is beautifully written. Mr. Capote was able to produce empathy for the murderers in the way he told their stories, although not taking away the desire for the reader to see them face the consequences of their actions. 3. The Thirteenth Tale by Diane Setterfield ~ I was so tempted to put it in the top spot. 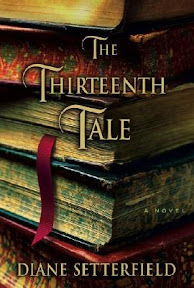 Alas, two other books consumed me just a little more and so The Thirteenth Tale finds its place as #3 on my list. It was well written, intriguing, and spoke to me, sometimes the voice sounding a little like mine. 1. Snow Flower and the Secret Fan by Lisa See ~ Snow Flower and The Secret Fan left a deep impression on me and is still one of my all-time favorite books. What were some of your favorite books the year you began blogging? 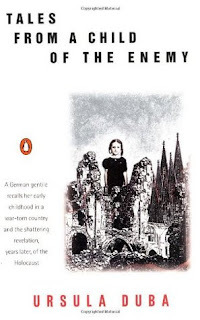 Beverley - The Thirteenth Tale is a good one! Thanks for stopping by, Beverley. I loved looking back on the first year or so of my blog too. :-) Super nostalgic. Great list! Chrissi - Looking back was a lot of fun. :-) Many of these remain favorites of mine even eleven years later. Thanks for visiting, Chrissi! 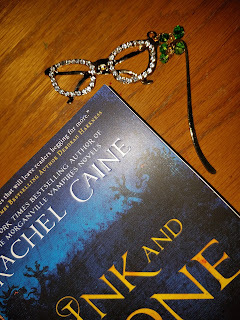 Lianne - I haven't read the rest of the trilogy yet, but one of these days. I don't think I knew Labyrinth was going to be part of a trilogy when I read it that year. Thanks for stopping by! Anne - Both books are among my all-time favorites. :-) Thanks for stopping by! I haven't read any of these books, but I do know some of the authors :) Great list! Louise - Thank you! And thanks for visiting. Aww cute bookmarks. 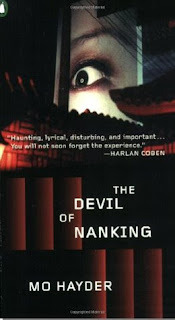 I had a favorite one for years and years but it went somewhere ha ha, but a good bookmark is always nice. 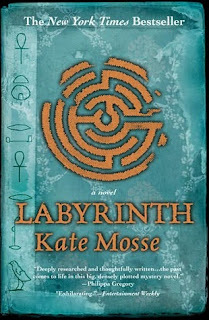 I love the covers of Roger Ackroyd and Labyrinth! Greg - Thank you! I have so many! I had more than I do now at one time, but gave several away to cut down my collection. I like those covers too! Thanks for visiting, Greg. Oooh, I've read four of the books on your list and I liked them all so I'll have to check out the rest of the books! Eustacia - I hope you like any of the others you try! Thanks for stopping by. I haven't read any of these, but they sound interesting. I liked your post on bookmarks too! I typically use scraps of paper. Here is my Top Ten Tuesday. Melody - I do too. :-) I have bookmarks from you even! I hope Mo Hayder is just working on a new book. #1, 2 and 3 faves here, too. Great list! Lisa - Thank you! Thanks for stopping by. I have a lot of bookmarks too and I think my favorites are the ones Vance made me through the years. My favorite bookmark is one my daughter made for me. She gave it to me for Christmas the year that she was in Kindergarten and I've had it ever since - she just started her 3rd year of college! I love the glasses one and the one from your husband is just too sweet! You've got a great list! I've only read Roger Ackroyd but I have The 13th Tale and The Historian on my TBR. Katherine - They grow so fast! I look at Mouse today and can't believe she's already six. It seems like just yesterday I was chasing after a toddler in diapers. I hope you read The Thirteenth Tale. It's so good! Thanks for visiting, Katherine! Samantha - Same here. 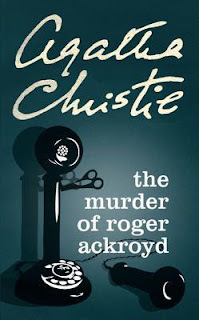 I need to get back into Agatha Christie's books. Hayder's books are pretty dark, but well worth reading, I think. Those are all great bookmarks, especially the one from your daughter. Ellen - I'll always treasure the one from my daughter. :-) Thanks for stopping by, Ellen. I love the bookmark from your daughter. I wasn't even on Goodreads in 2006! I do remember enjoying The Lincoln Lawyer and loved The Historian. I actually want to do a re-read of The Historian sometime. Carole - Isn't it pretty? I love it too. :-) I wasn't on Goodreads in 2006 either, but I had my blog. :-) I hope you have a great week, Carole. Thanks for visiting. Lauren - I really enjoyed it when I read it. I know it turned a lot of people off because of all the hype it received when it first came out though. 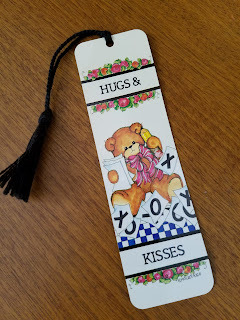 I love special bookmarks! The one from your daughter is precious. I try to buy a bookmark whenever I travel -- nothing fancy, just something to remind of the places I've been. Nice list of books! I do need to read In Cold Blood! I finally read my first Truman Capote this year (Breakfast at Tiffany's). I loved The Historian and Snow Flower! I really liked In Cold Blood. It read just like a novel--and I'm sure Capote embellished some, but it is worth reading. Of those books, I've only read Snow Flower and the Secret Fan - which I did enjoy! Shannon - Isn't that pretty? 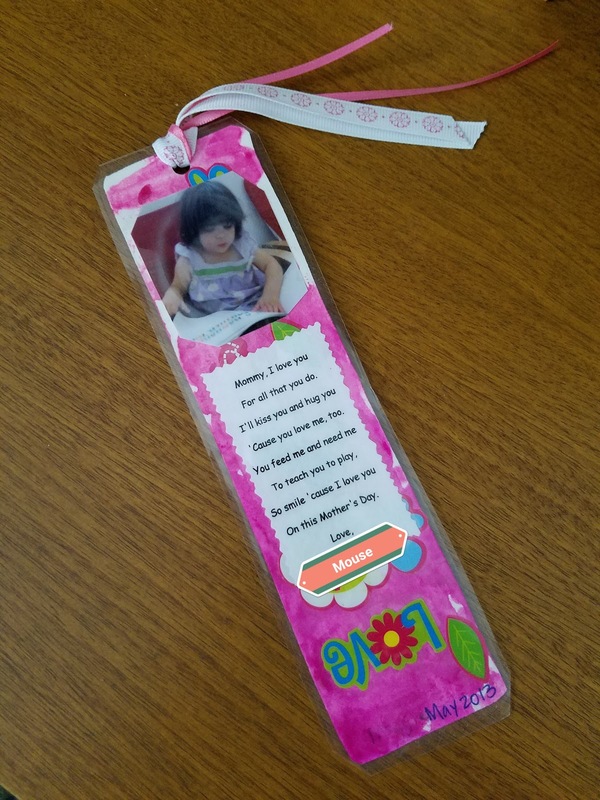 I was shopping for a bookmark for my daughter's birthday on Etsy one day and came across that one. I couldn't resist getting it for myself. Those bookmarks look amazing. How awesome that your husband and daughter made those for you. Extra special!! I've definitely been wanting to read Kate Mosse's book for years. Still haven't gotten to it though. Thanks for joining My Favorite.. and sharing your favorite bookmarks. Maureen - Yes, I will always treasure those. 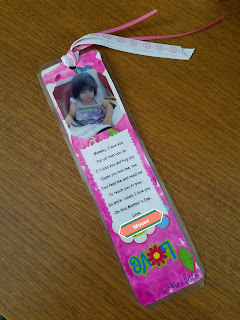 :-) I really handmade bookmarks. I have a few, and a couple that were personalized just for me. I love your Harry Potter bookmarks. I need to jump back into Mosse's books. Thanks for visiting, Maureen--and for hosting! Great selection of books. I loved In Cold Blood and The Alchemist. Your bookmarks are cute too. I do have a favorite as well. It's a cross stitch Eeyore bookmark that one of my best friends made for me. Suzanne - Thank you. I bet your Eeyore bookmark is precious! I love the handmade ones the best. Thank you for stopping by! Great bookmarks! 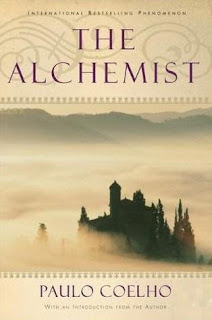 The Alchemist and The Thirteenth Tale were good reads! Chrissy - Thank you! I really enjoyed them. Someday I would like to re-read The Thirteenth Tale. Thanks for visiting! Lindsay - I always have a hard time finding bookmarks while on vacation, but I do pick them up when I find them while traveling! I bet the Harry Potter ones are cool! I am glad you enjoyed The Thirteenth Tale too! And wow, you've been blogging since 2006? That's so cool, congrats! Love your bookmarks! I've read a couple on your list. I loved the Thirteenth Tale and Christie is one of my favorites too. Carol - Thank you! You can't go wrong with Agatha Christie. :-) Thanks for stopping by! That is so sweet that you have that bookmark from your husband from before you were married. I also don't use my bookmarks much because I almost exclusively read on my Kindle now. Those bookmarks are so great! 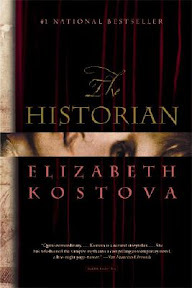 I have actually recently heard about The Historian and it has captured my attention a bit. Annemieke - Thank you! I hope you do get a chance to read The Historian. I know some people thought it dragged on, but I just loved it. I was really caught up in its spell as I read. Thanks for stopping by! To this day, I feel like I'm the only person in the world who didn't "get" The Alchemist. I was so glad it was such a short book. Use Mouse's bookmark for a little bit but don't use it too much - I so wish I'd taken better care of the ones my kids made! Lisa - I don't think you are the only one who didn't care for The Alchemist. :-) It seems to be one of those books that often ends up on the overhyped list. I really enjoyed it though and feel like I read it at the right time in my life. I love the bookmarks! I think the only one there that I've read is In Cold Blood, which I'm sure I had to read in school but don't remember much about it to be quite honest. I am excited to see The Thirteenth Tale on your list. I have that on my TBR and want to read it this year. 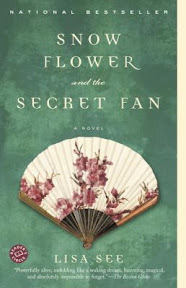 Snow Flower and the Secret Fan is another one that I've wanted to read! I think I even have the audiobook! Darlene - Thank you! They are very special to me. Especially the top two. :-) I hope you get a chance to read The Thirteenth Tale soon. It's a good one! I love Lisa See's books, and Snow Flower and the Secret Fan is definitely one of my favorites. Her newest one though is up there too--The Tea Girl of Hummingbird Lane. Iliana - I love that one. Her preschool teacher had a lot to do with it, of course, but I will always treasure it. :-) Thanks for visiting, Iliana! Donna Marie - It really is a beautiful book. I should make time to reread it one of these days. I so rarely reread books, but that's one I wouldn't mind revisiting.